Hey All! 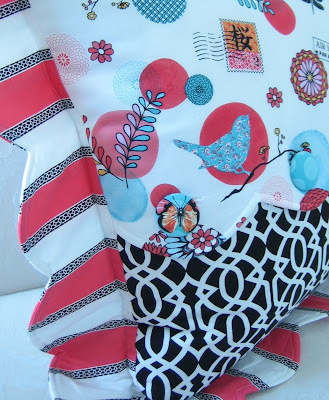 Just thought I would check in for a little while this Friday afternoon and give you a sneak peek of a fabulous new pillow design. 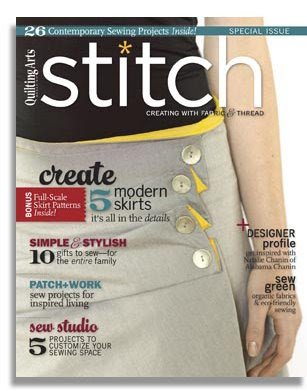 I was contacted by the editor of a new sewing magazine by Interweave called Stitch to propose a project design for one of their upcoming issues. Have you seen this magazine yet? It has a really neat fresh vibe and it is loaded with lots of cool ideas and inspiration. Be sure to check it out! Here are a couple of photos of the design I came up with. It is a large floor pillow, perfect for flopping around and doing something divinely leisurely. 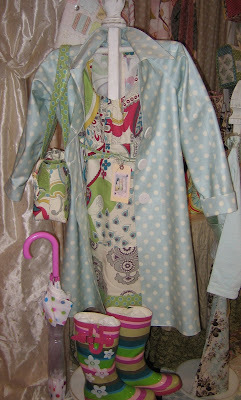 It showcases Paula Prass's new fabric line from Michael Miller called Flights of Fancy. I used the summer colorway, since the mag wanted vibrant colors. I really love the way the stripe sets off the whole design. 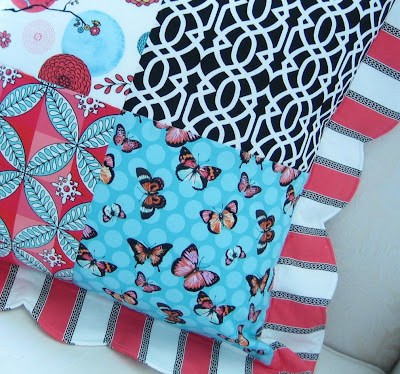 The pillow project will be in an upcoming issue, so I will be sure to let you know which one, once I find out more info. Guess that is about it for now....got to get busy on those book designs!